Fluffy animals seem to get all the love. When it comes to our furry friends, it seems the furrier and the fluffier, the better. But some animals break the mold and live a care-free, hair-free life. 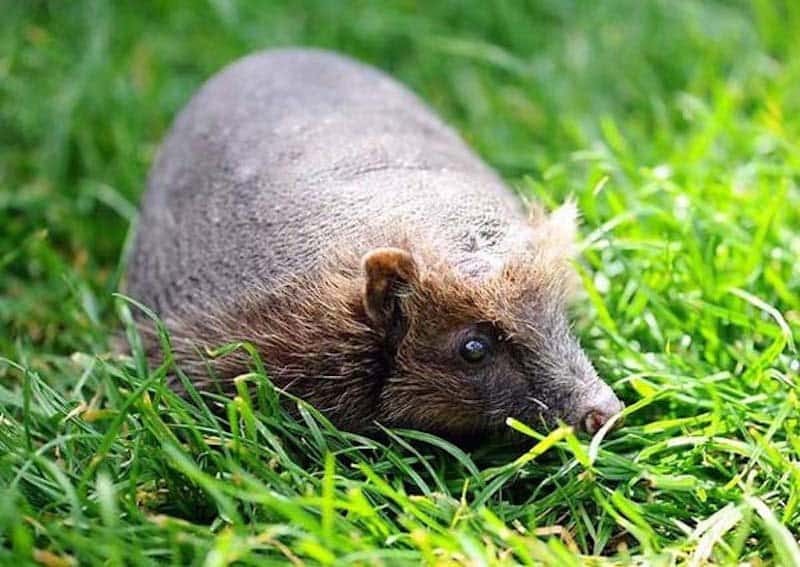 It’s a little bit startling to see an animal normally covered in thick, black fur, or a bird who usually dons a feathery coat reduced to just their bare skin. 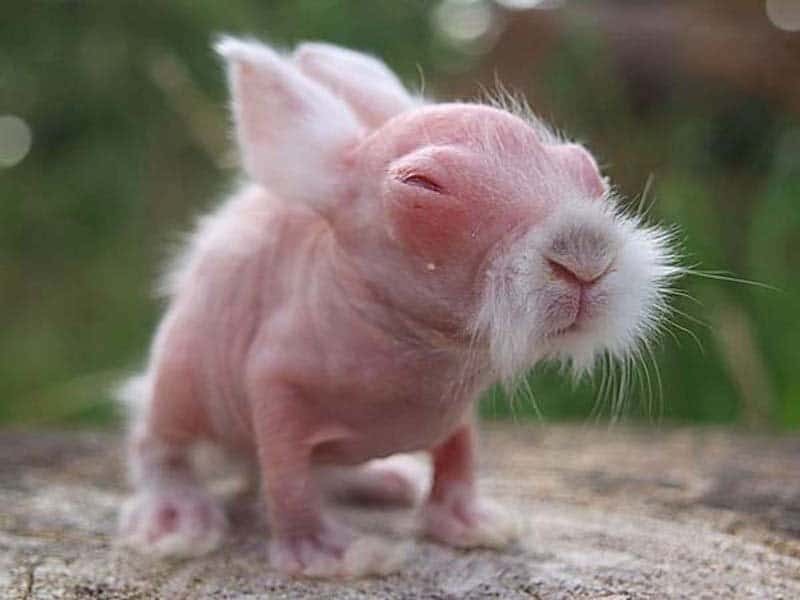 However, bald creatures offer an interesting perspective into the animal world, as these 17 animals look like nothing you’ve ever seen before. 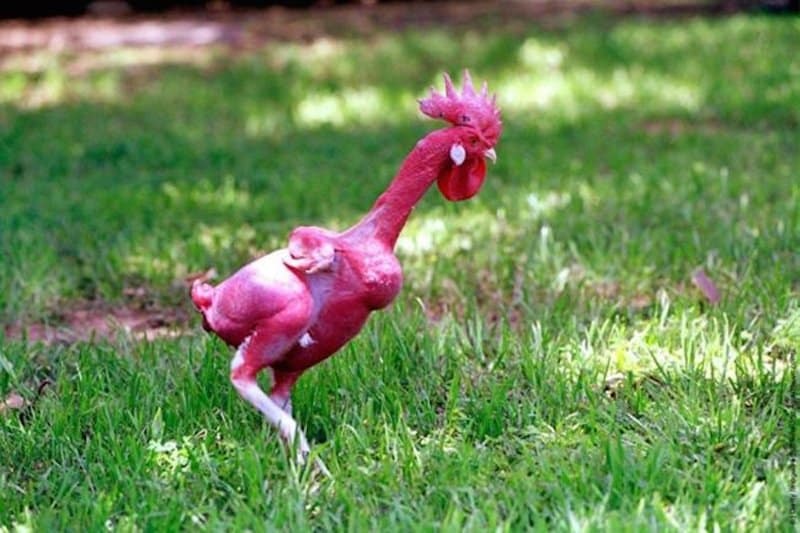 Luckily, this chicken’s lack of feathers doesn’t seem to affect its self confidence and it still struts proudly. This sweet little guy was born in 2009 and was totally bald. You’ll be pleased to know he ended up growing a normal coat of fur as he aged. 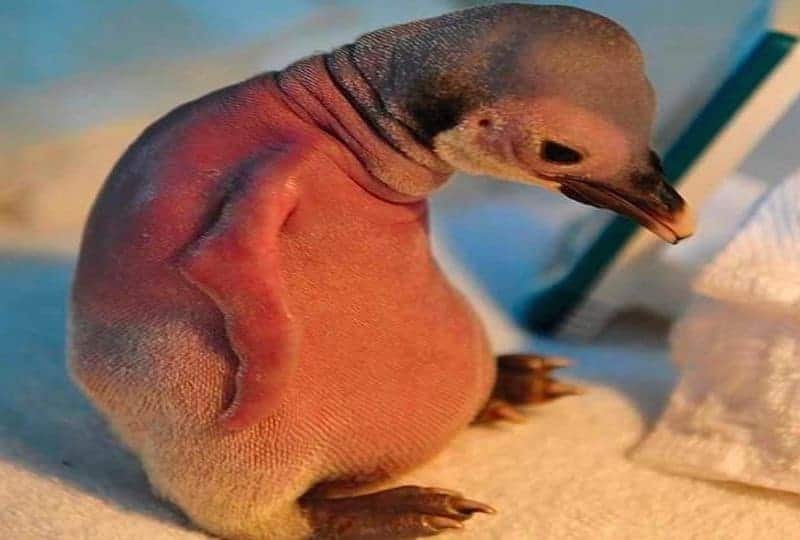 This penguin was born bald and its mother rejected him. Thankfully, zookeepers took special care of him so he could grow up strong and healthy. 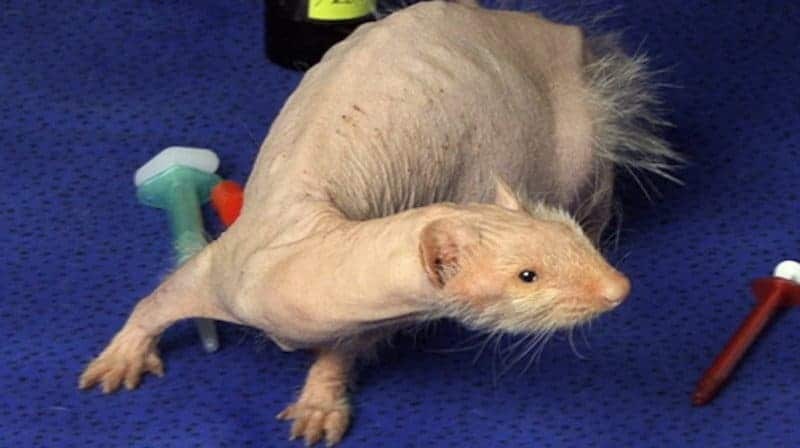 Ferrets tend to be kept indoors as pets, so this bald ferret should still be plenty warm without its fur. 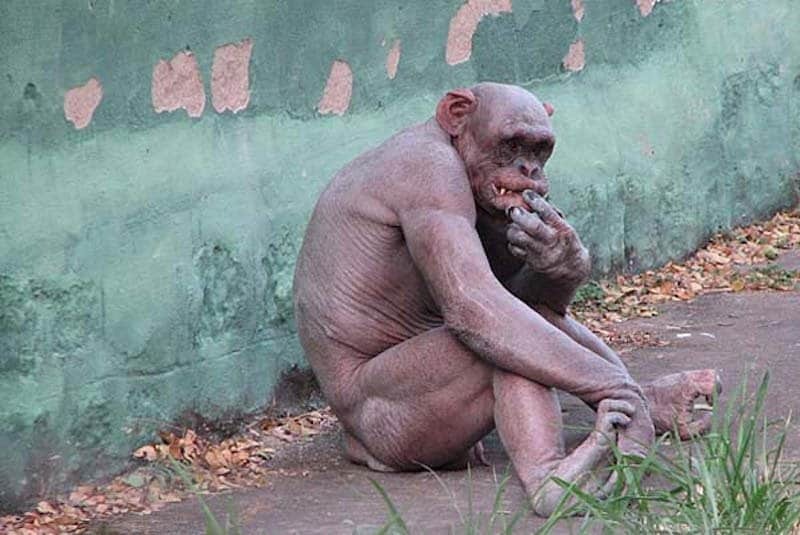 Chimpanzees, much like humans, sometimes suffer from alopecia which makes them lose their hair. Wombats are usually kept in their mother’s pouch until they are seven months old and have some fur. 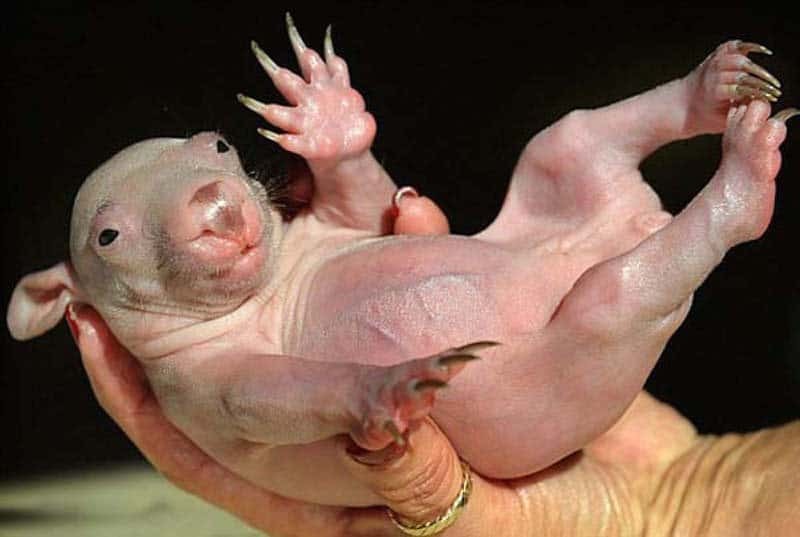 This little wombat was orphaned early on before it could grow hair, but it still grew up to be a normal wombat. 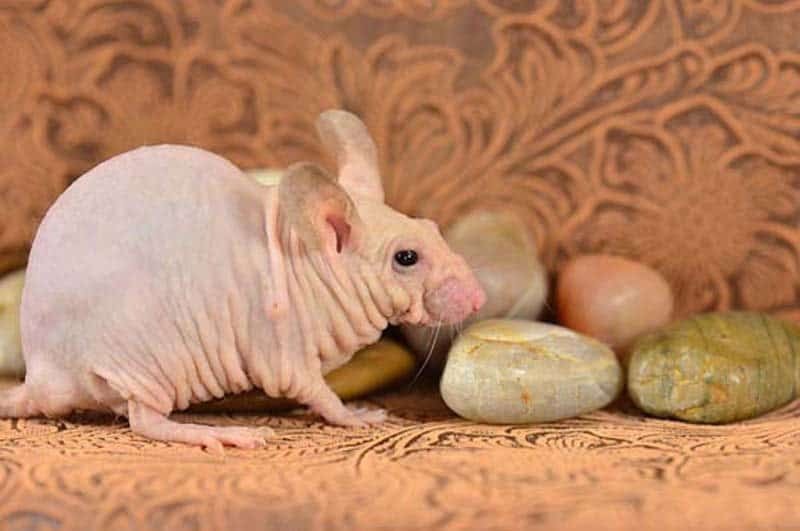 Hairless rats are actually pretty common as pets, but they’re also used by scientists for studying diseases. 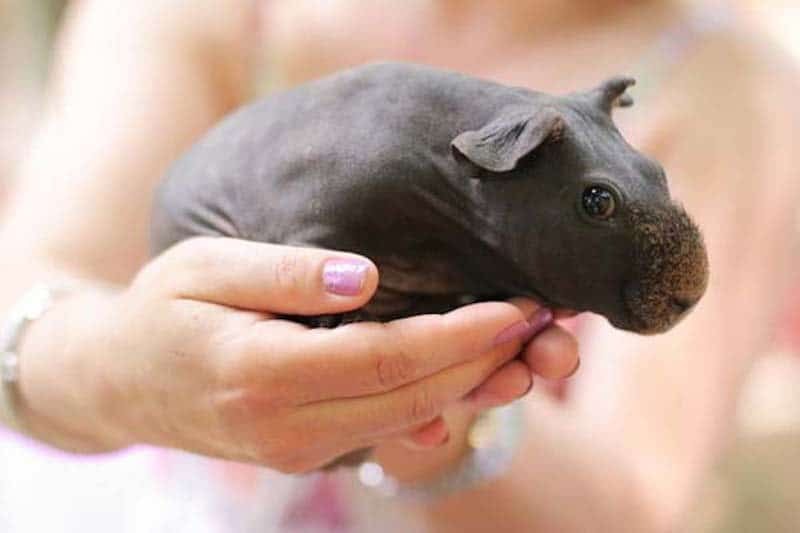 This bald guinea pig looks more like a tiny hippopotamus than it does a rodent. 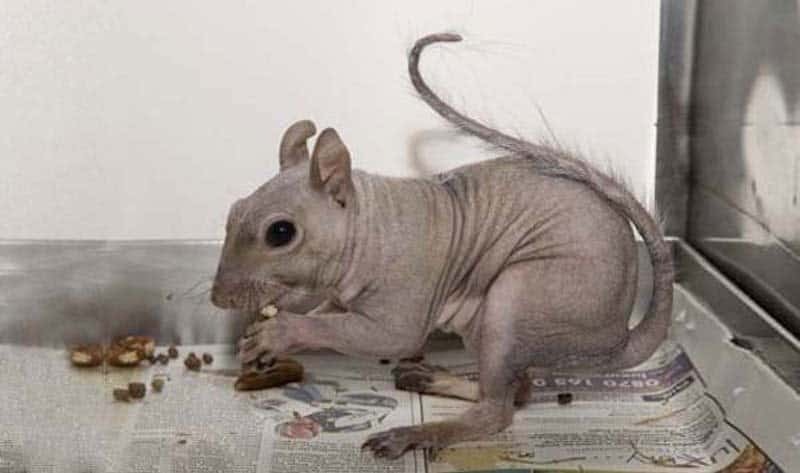 Sometimes squirrels get mites, just like many other animals, and it causes them to lose their hair. 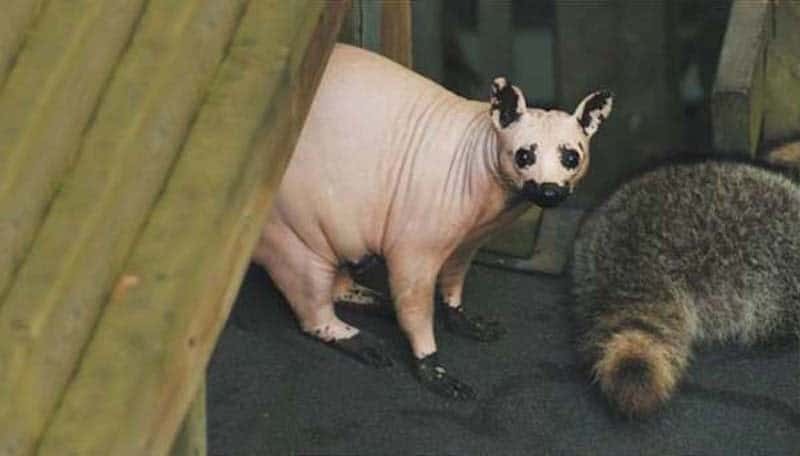 Wild animals often suffer from mange which causes their hair to fall out, and that is what is believed to have happened to this raccoon. 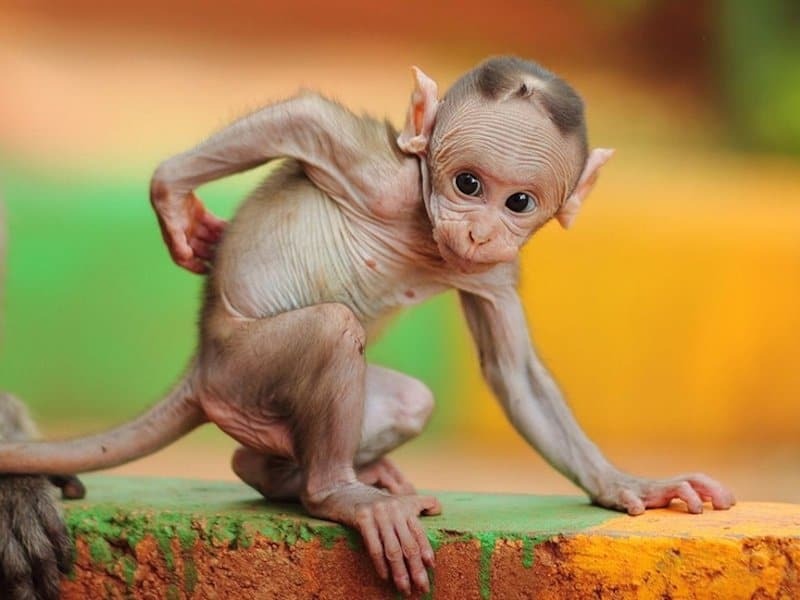 Monkeys aren’t as closely related to humans as chimpanzees are, but this bald monkey still looks somewhat similar to a human baby. 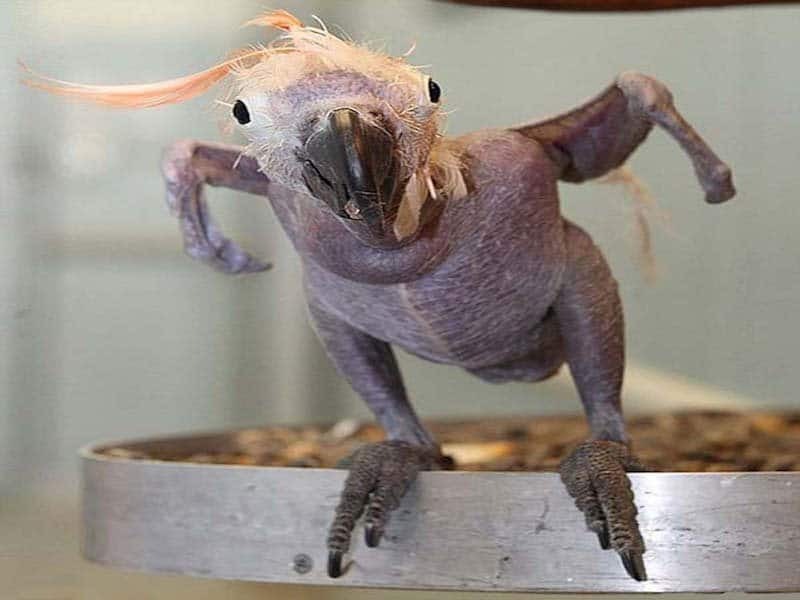 This 35-year-old parrot suffered from Beak and Feather disease. Because of her irritated skin, she plucked all of her own feathers. 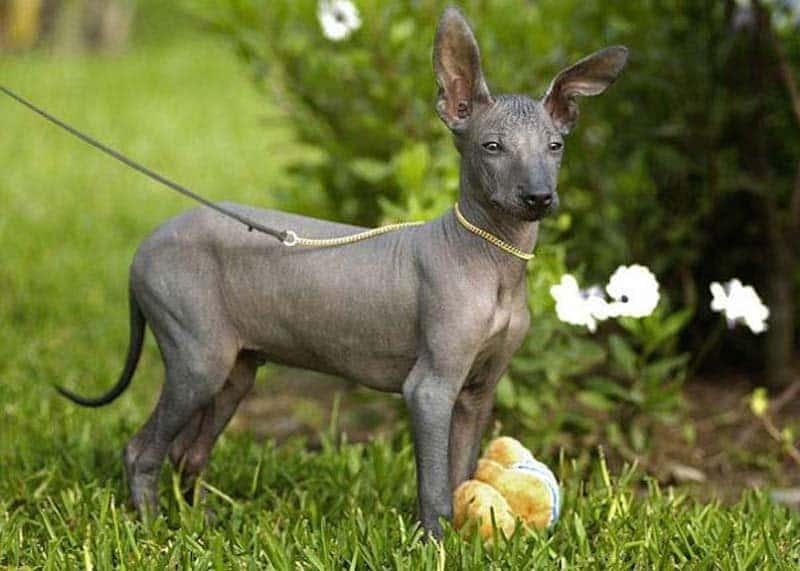 There are a few different hairless dog breeds, and one of the benefits of hairless dogs is they usually don’t bother allergy-sufferers. 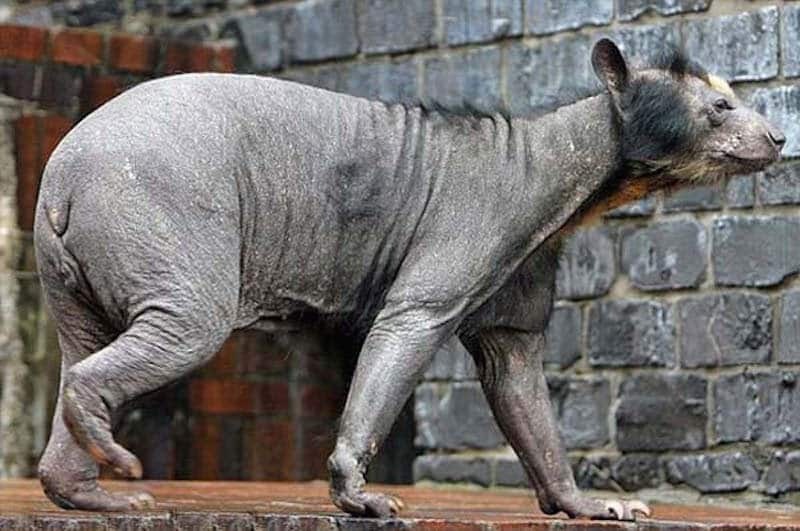 This female spectacled bear lost all her fur to what is thought to be an unfortunate genetic condition. This is Betty, the bald hedgehog. No one is sure why she is bald, but she’s still cute. 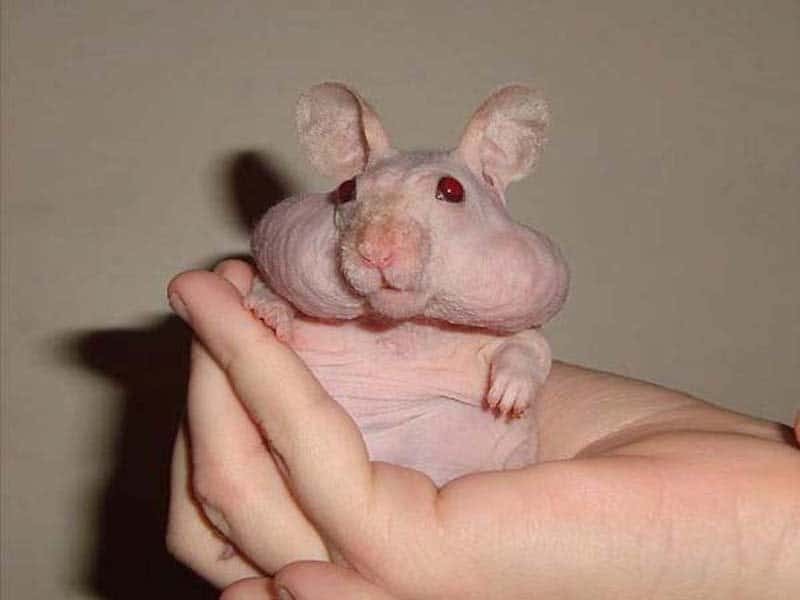 As a result of a specific gene, some Syrian hamsters are bald, but still have their cute and chubby cheeks. 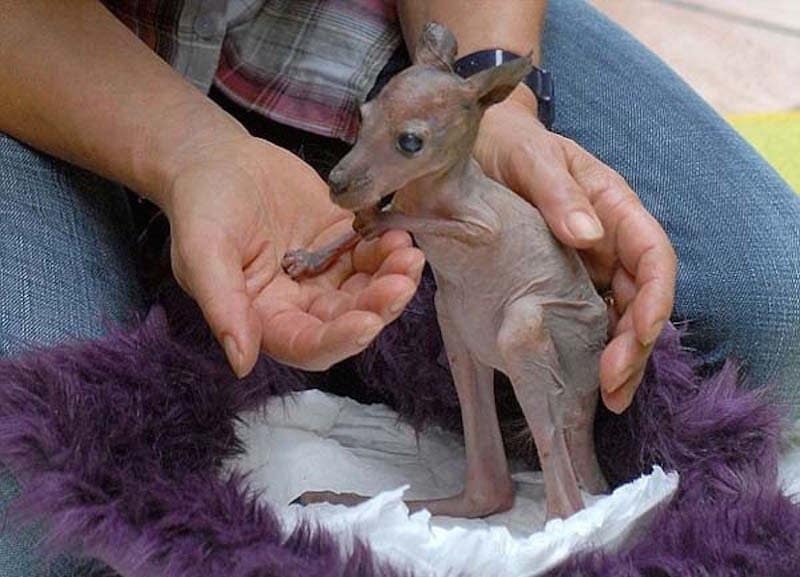 This is Sabrina the Kangaroo. She was orphaned much like the bald baby wombat, and had to grow up outside of her mother’s pouch as well.